I recently spent the weekend with 4 people who are extremely special to me. Activities included extensive dancing and singing, raucous laughter and some tears. We went to bed at 2 am. And we talked about what we’ve learned since we first met each other, 41 1/2 years ago, aged just 18, and began caring for very sick children. 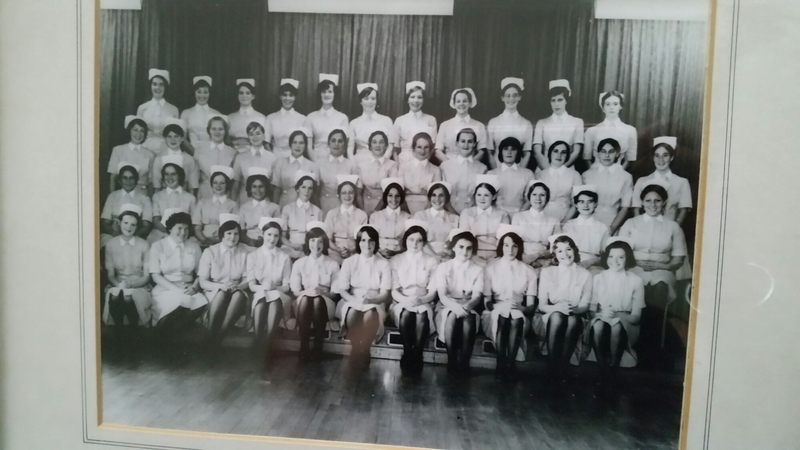 3 are still nurses. The 4th works in the helping professions. I do what I do. This is written for Alison, Jane, Nicki and Teresa. They know why. Nurses care for thousands of people during their careers. Nursing children is particularly psychologically challenging. The advice we were given when we started out in 1973 was not to become too emotionally involved. But that was impossible. There would often be a child or a family who you could not get from your mind, because they touched something deep inside you. This is just one of mine. I was 19, and on duty on my allocated ward. A call came through from another ward that a nurse was needed to go on relief because a baby required one-to-one nursing and they were short of staff. I was selected. When I arrived, I was ushered into a cubicle. The baby, I will call him Baby A, was 10 days old. He was a normal size and weight but had been born with a grossly abnormal heart. He lay in a small cot, on a ventilator, which I understood how to manage, and peritoneal dialysis, which I had not experienced before. The staff nurse looking after him explained what I needed to do, which involved pouring titrated quantities of warmed sterile fluid via sterile jugs and funnels through tubes into his abdomen, and then letting it out again, via a complex series of clamps, and measuring it using different jugs. It was essential to keep the fluid in balance because his kidneys weren’t working; his abdominal cavity was acting as a kidney to flush out the toxins but had very limited capacity. The fluid balance had to be measured and recorded every 15 minutes. Because of the ventilator as well, there were a large number of measurements to make, and some complicated charts to complete. Although I said that I understood, I could see she was worried that I hadn’t fully grasped everything she told me. But she had to leave me to supervise the ward where there were 23 other very sick children. It was a tense afternoon in that cubicle. I was boiling hot in my full uniform with starched collar and apron, plus white overalls, plastic apron, mask and gloves. Baby A lay very quietly; it was hard to believe such a perfect looking child could be so ill. Gradually I got on top of the dialysis and the ventilator, and I even gave him a little wash, although he wasn’t using his nappy. At about 6 pm the ward sister and some doctors came in. They had been looking at Baby A’s results and concluded that the problems with his heart were so severe that there was nothing they could do to help him, and that because so many of his organs had failed, it was causing him severe distress to keep him alive artificially. They left and the sister stayed behind. I asked what this meant. She said we would take him off his ventilator and dialysis, which we did. I took off my gown, mask, plastic apron and gloves. She closed the cubicle curtains and left me to sit with him. Baby A’s mother was too ill to be there. She might also have had other children, I don’t know. Anyway, I thought about what she would do if she had been able to be with him on his last afternoon. I thought she would hold him. So I took him out of the cot, and sat in the rocking chair with him in my arms, wrapped in a shawl, and sang to him and kissed him. It took over an hour for him to die. When I was sure he had, which I could tell because he started to get cold really quickly, I rang the bell. The sister and a doctor came, and then another doctor, and they carried out an examination of Baby A, and his death was certified. The doctors left. The sister then asked if I had ever laid a baby out i.e. prepared the body for the mortuary. I said I hadn’t, but I knew what to do. She said she would help me, and together we washed him again, and did all the other things that were needed. She said that it would be best if I carried him down to the mortuary, which was in the basement of the hospital, so I wrapped him again in the shawl but this time covered his head, and held him close against my shoulder so that no-one could see him on the way. I felt a great desire to continue holding him. It felt wrong to leave him down there. On the way back up the stairs, the sister, who seemed quite old to me but was probably under 30, said that I should now go for my supper break and afterwards return to my own ward. I remember going to the canteen. There were people that I knew, but I sat on my own. Someone came over and asked me what I’d been doing and I said I’d been on relief. I couldn’t think of how to talk about Baby A without sounding melodramatic. So I didn’t say anything, not then or for many years afterwards. I can still feel his little body in my arms. 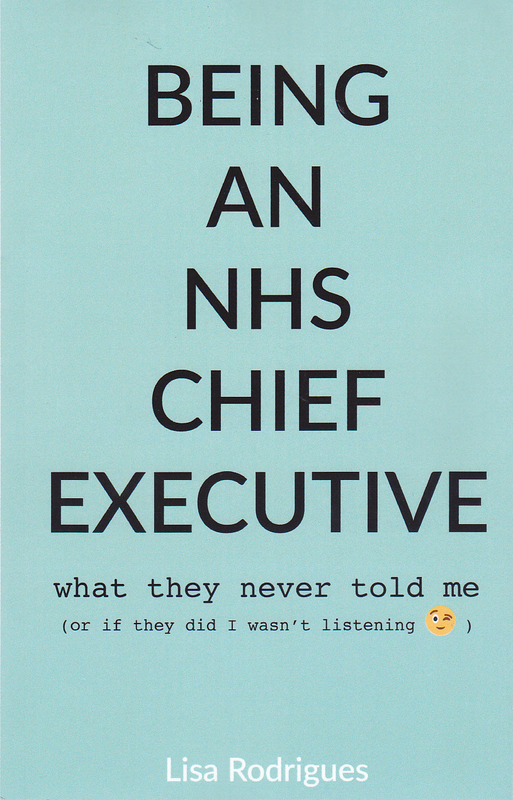 When people have asked me about how hard it was to have been a chief executive, I remember that day, and many others from my clinical career, and of the millions of stories of courage, kindness, selflessness and hard-work that nurses and doctors and all our other clinical staff could tell, if only we asked them, and they could find the words to tell us and the time to do so. The day after writing this, two things happened. The first was that I heard from one of the nurse friends I mentioned at the start of my blog. She was born to be a nurse. Her goodness shines. She’d read my blog, and told me of a baby she had looked after who was dying of heart failure. The ward sister said that no child should die alone. So the nurses took it in turns to hold him. Eventually he died, 3 days later, in my friend’s arms. I can think of no kinder place. And then I heard the desperately sad news about Adam Bojelian, @Adsthepoet as he was known to us on Twitter. Despite having profound physical disabilities and never having been able to do more than write by blinking, Adam produced beautiful poetry. In his short life, he touched the hearts of thousands directly and via social media with his positive outlook, jokes, wide interests and openly expressed desire to go home from hospital. He died in March aged only 15. He is a young man we will never forget. May Adam’s dear soul, and those of all little ones taken too soon, rest in peace. And may their parents find comfort from knowing they were much loved.